Right from the beginning of the knitting, I wasn’t sure if I had enough yarn to make this sweater as long as I really wanted it to be. So, to eke out all the available yardage I had, I put the body of the sweater on scrap yarn, and knit the sleeves first. That way, I could use all the remaining main color yarn to add maximum length to the body of the sweater. 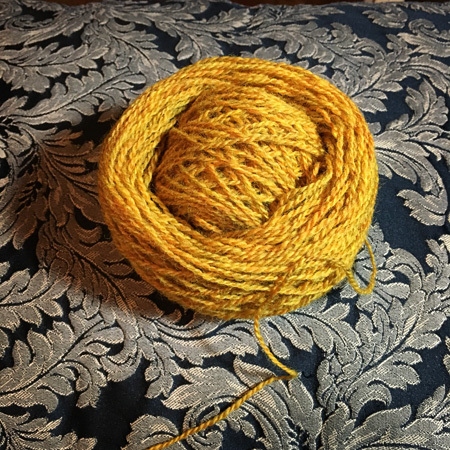 Then, once I finished using up that color, the plan was to add a skein of Gold to the mix – this would be the last yarn used, to the end. But, horrors! I started panicking as my gold yarn ball started to shrink. How could I know when I could switch to my hem ribbing without running out of yarn? • Unravel a stitch, measure and record how much yarn in length each stitch uses. • Mutiply that number by the number of stitches in the row to get the number of inches or yarn used in that row. 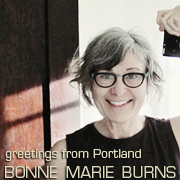 • Then I measured off enough yards to finish the Ribbed Edging of my sweater and wound that up in a smaller ball Without Breaking or Cutting that little ball from the Main Ball. • Then I stuck it in the middle of the bigger ball to hold it. NOW I could just do my favorite: Knit Until the Yarn Runs Out on all the rest of the yarn that wasn’t in the Little Ball! 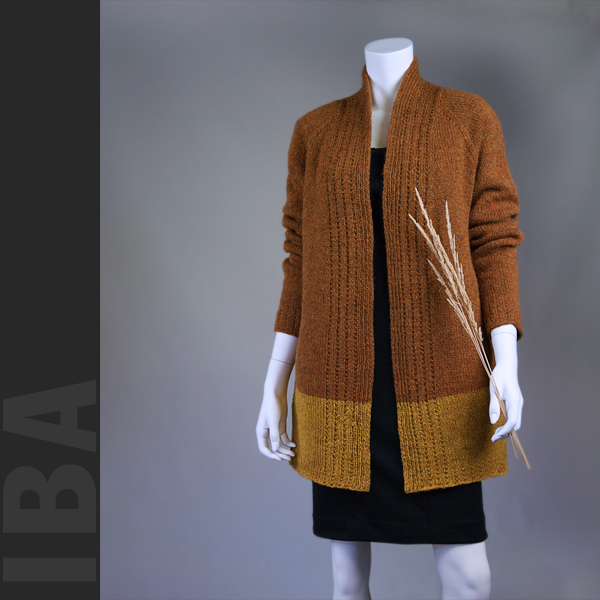 And, this, my autumn colored Iba wrapper cardi, might just be the Longest Sweater I’ve ever made! I can’t wait to wrap myself in its woolie goodness!